The first step to safe and effective cannabis consumption is understanding what you are consuming. The cannabis plant contains at least 113 different compounds called phytocannabinoids, the most famous being Tetrahydrocannabinol (THC) and Cannabidiol (CBD). THC is the psychoactive element, which produces the ‘high’ feeling. 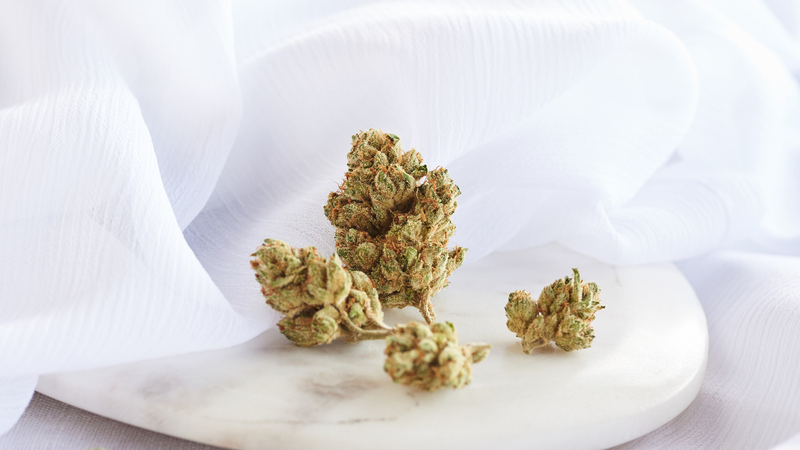 It also has many health benefits, including sedation and relaxation, pain relief and reduction, relaxing muscles spasms, stopping nausea and vomiting, stimulating appetite, inducing sleep, and reducing anxiety/depression. CBD may also have many medical benefits, including pain management, anxiety reduction, and decreased inflammation. CBD does not produce the ‘high’ feeling for which THC is known. It’s also important to know that cannabis is much safer compared to a number of other common substances, including alcohol and some pharmaceutical drugs, particularly when one considers lethal dosage, addiction potential, and withdrawal symptoms. To date, there have been no recorded deaths resulting from cannabis overdose. There are no receptors for cannabinoids in the breathing center of the brainstem. Also, it would be difficult to consume enough cannabis to reach the median lethal dose. In most instances, when someone consumes too much cannabis, they sleep off the effects with no long-term repercussions. Tinctures are alcohol or oil-based cannabis extracts, available in drops or sprays. The onset of effect occurs in 15-60 minutes, with peak effects in 1-2 hours, generally lasting 1-4 hours. Smoking is one of the fastest methods to feel the effects. You should feel the effects within 3-5 minutes (or less). The effects typically peak after 30 minutes and can last up to 5 hours. Those with bronchial problems may want to avoid. Vaping is similar to smoking, but the cannabis oil is heated to a lower temperature to avoid combustion, and hence, the carcinogens produced by the high temperatures in smoking. Many users experience less irritation with this method. Users will feel the effects within (3-5) minutes. Edibles are food items made with cannabis flower or concentrate. The onset of effects is 60-90 minutes with peak effects 2-3 hours and can last up to 6-8 hours. It is important to note that THC becomes a more potent compound when consumed as an edible, so consuming a small amount is the more prudent approach. All methods of consumption and their activation times noted above will vary based on an individual’s body chemistry, among other variables. I recommend that all first-time users try cannabis with an experienced user present and in a quiet, calm environment. It’s important to know that you may have to try a variety of methods of delivery and various profiles to find the one that best suits your individual needs. Remember to start with as low a dose as possible. Start low, go slow. If you haven’t tried cannabis in a long time, don’t assume your tolerance level is the same. Most strains today have higher THC levels. If you take more than you are comfortable with, the best thing to do is to rest in a quiet and safe place; eventually, you will doze off and sleep until the symptoms abate. If using cannabis medically, consult a physician when appropriate, evaluate the symptoms you wish to relieve on a scale of 1-10, start low and use multiple doses a day as opposed to one big dose; wait 30-90 minutes, reassess your symptoms using the same scale and re-dose depending on how your symptom scale changes. Wait 72 hours before you make dose adjustments. It is important to keep a log. It is also extremely important to read all packaging and dosing guidelines. Cautious titration is recommended when ingesting THC-rich cannabis products. Microdosing—meaning very low doses—as little as 2.5 mg THC can produce noticeable effects. Figuring out the optimal dose of cannabis may involve some trial and error. A balanced ratio of CBD and THC could have a greater therapeutic impact than either CBD or THC alone. Adjust the amount of CBD and THC until you find the sweet spot with the right combination of both compounds. Lastly, remember that you should never drive or operate machinery while consuming cannabis. The contents on MedMen.com are for informational purposes only. The content is not intended to be a substitute for professional medical advice, diagnosis, or treatment. Always seek the advice of your physician or another qualified health provider with any questions you may have regarding a medical condition. Never disregard professional medical advice or delay in seeking it because of something you have read on MedMen.com. Dr. Wilson-King, MD, serves as the Medical Director for MedMen. She has over 25 years of clinical experience, with expertise in plant-based medicine and cannabis education.